A well-loved copy of Jane Austen’s novel, Sense and Sensibility, is gifted to Cassandra Atwood, as her life is tossed onto a bumpy path that hints of parallels to the Dashwood family story. This treasured tale of human follies, challenges and triumphs, becomes her lifeline, as facets of the story and characters are echoed in her own experiences, becoming profoundly impressed upon her mind. Born into a position of privilege, Cassandra is brought exceedingly low by the cruelty of her selfish uncle’s pernicious wife. Though oft despairing, she cannot but hope for escape towards any better respectable situation. In hours of despair, Cassandra clings to compelling truths in the story, dreaming of fortuitous beginnings towards future happiness. Whether an Elinor in part or a Marianne complete, will she be led to find her own Edward or Brandon? Shall she become all Sense or remain more Sensibility, as life demands her individual growth, within her personal wilderness she is forced to traverse? Sensing Jane Austen was inspired greatly by Sense and Sensibility, my first introduction to Jane Austen and her genius works. For twenty years that story about the Dashwood family has meant a great deal to me. Initially, I saw the drama in the novel. The loss, injustice, selfishness, conniving and unkindness resonated, as they echoed cruelty, sadness and disappointments in my own life. Later, I enjoyed the wittily sarcastic commentary on people who don’t measure up to the good that they should be. This tale always reminds me that the world could be more like Heaven, if only people would be their best. And that we can laugh along the way. 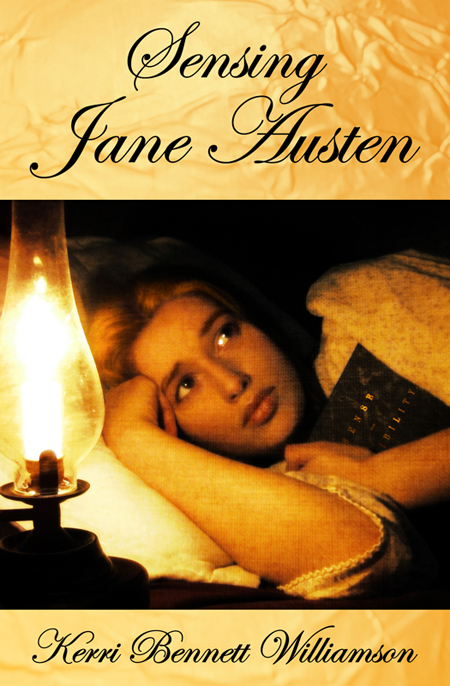 As an ode to our beloved Jane Austen, through the story of Cassandra Atwood, Sensing Jane Austen speaks to what Sense and Sensibility has personally meant to me for two decades. No, this is not my own story, nor anyone else’s, but offers hints of many experiences and feelings that others may relate to.